Transmission and Service Mains | Ric-Man International, Inc.
Well planned installations of thousands of feet of watermain and forcemain from 4” PVC thru 54” DIP and 24” thru 102” Pre-stressed Cylinder Pipelines. These includes massive Plug Valves and Butterfly of Gate valves, some inside Valve structures. Whether it’s hard Miami oolite rock or soft silty sand, we have the experience in well pointing, de-watering socks, large trash pumps and hard rock excavations. 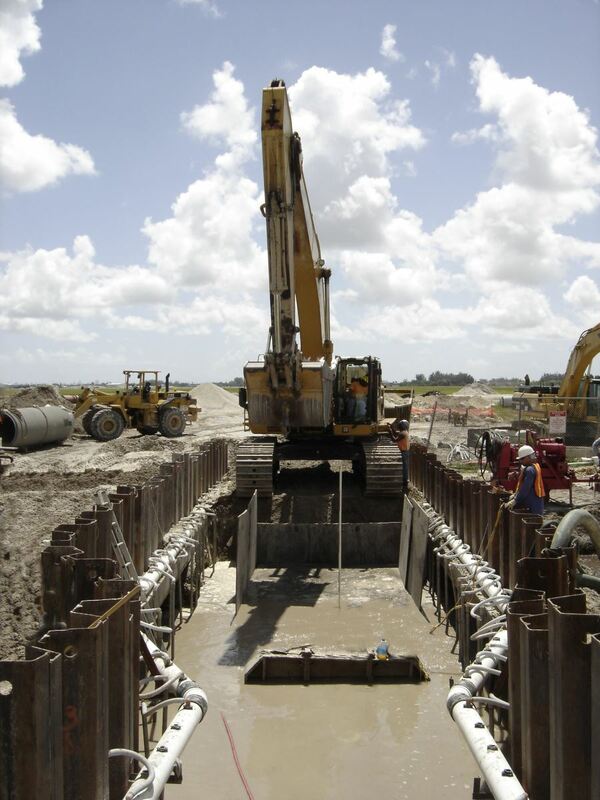 We provide trench boxes, steel sheeting and comply with OSHA regulations.